Yesterday morning we once again found ourselves on Holy Island, but the exciting birding of the last few days seemed to have come to an end. 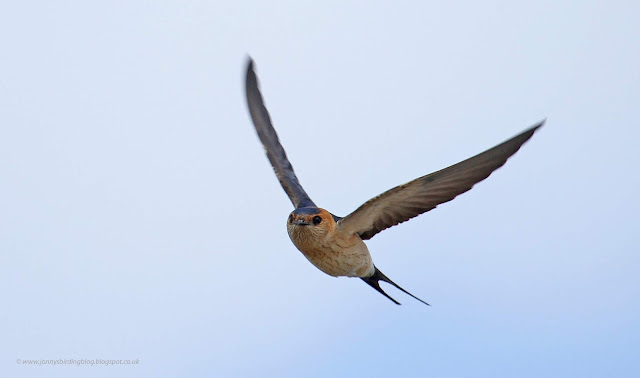 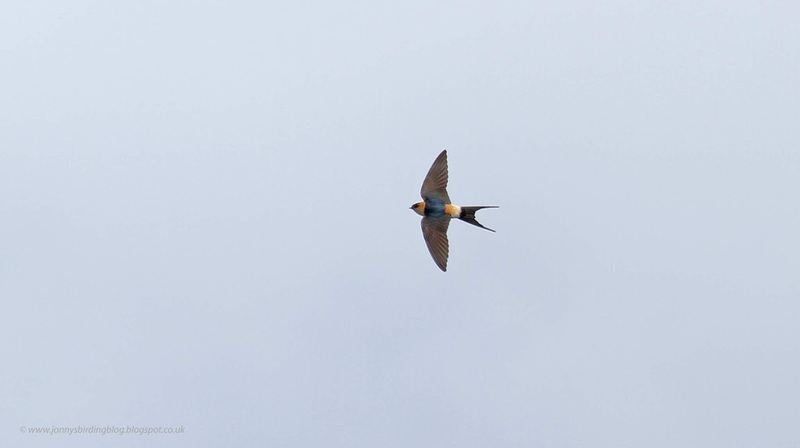 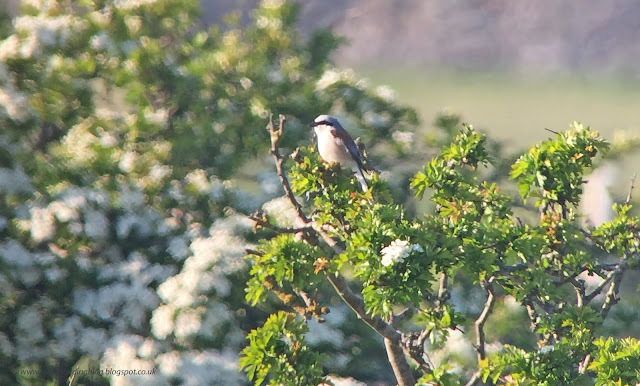 We spent the morning covering all of the main parts of the island, managing just a few Chiffchaffs and a Spotted Flycatcher, but the visit was saved when we got to the Snook car park and a first-summer Hobby flew past, giving us some fantastic views. 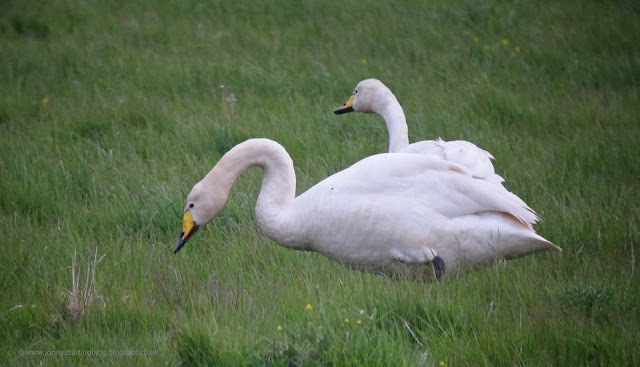 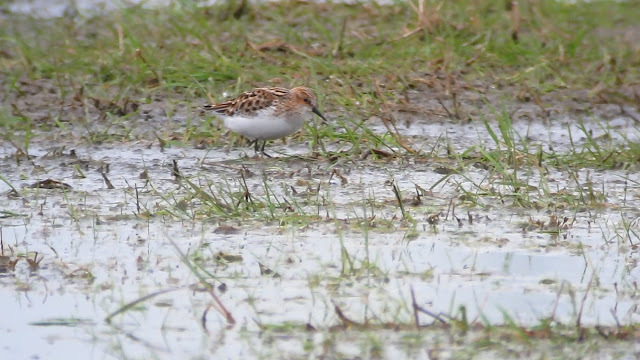 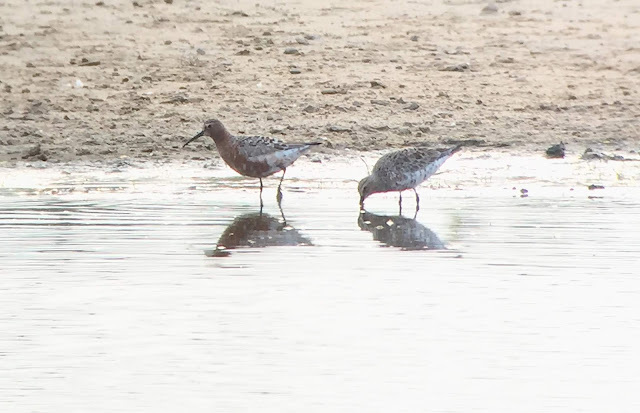 On the way back we called in at Druridge, where the Pectoral Sandpiper was still on the coal road flashes as well an adult summer Little Gull, a drake Garganey and the two Whooper Swans. 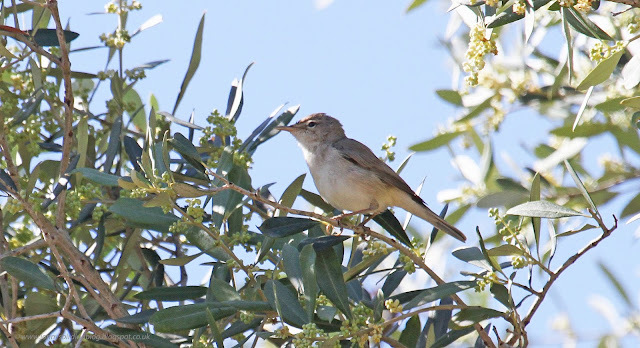 This afternoon I've finally had the chance to edit the last of my photos from Cyprus, taken on our last day's birding of the holiday (back on the 7th of April). 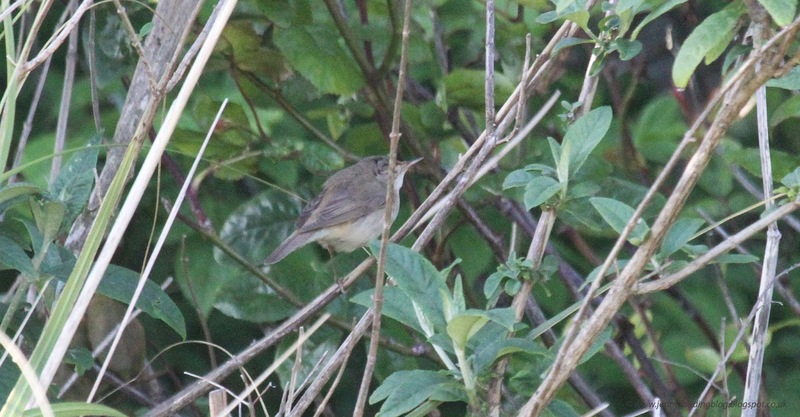 Of course the first birds we got on arrival were the Eastern Olivaceous Warblers which were not hard to find around the entrance to the caravan park. 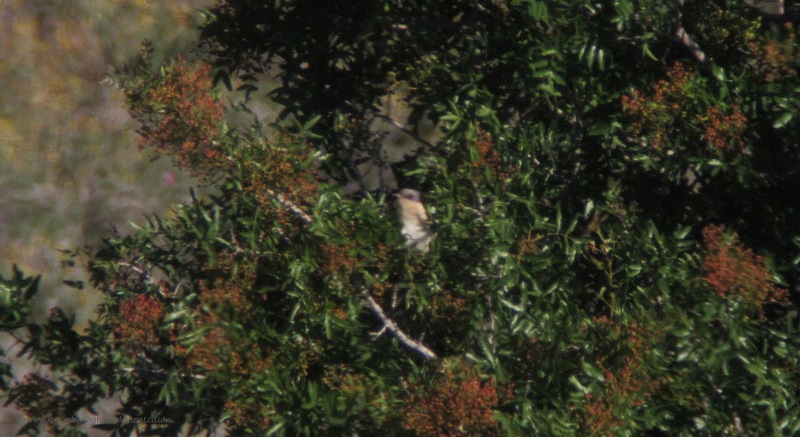 An Eastern Bonelli's Warbler was also calling and singing in the gully. 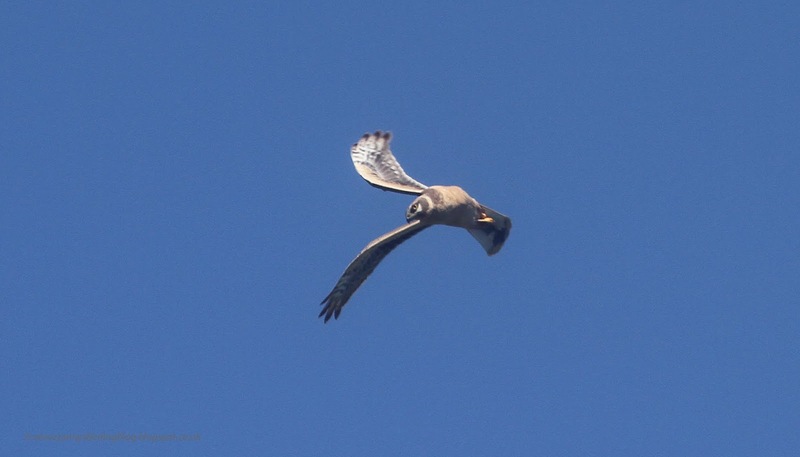 An Isabelline Wheatear was the first we'd seen here, and when we reached the north end a stunning first-summer male Pallid Harrier flew over. 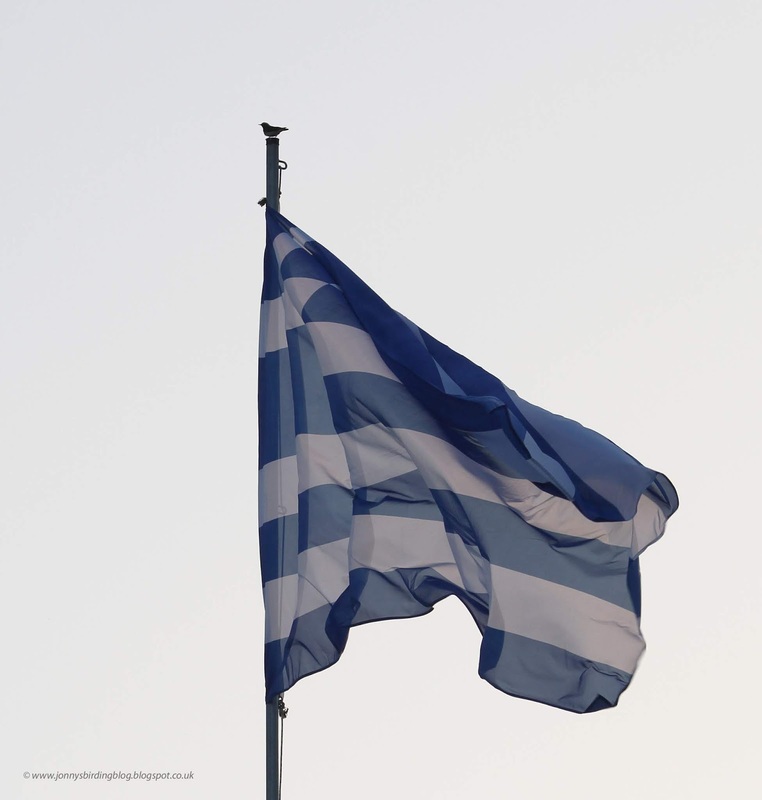 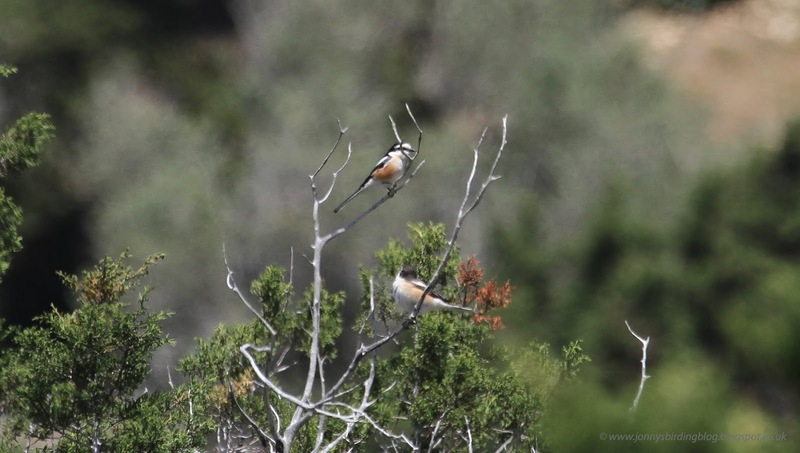 We next started the 7.5km round walk of the Aphrodite Trail. 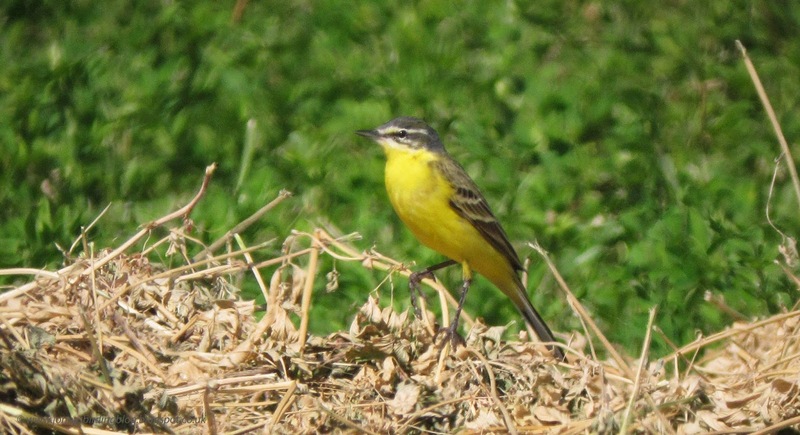 It led out across the scrubby hillsides, reaching the top of the hills and descending down the very steep cliffs. 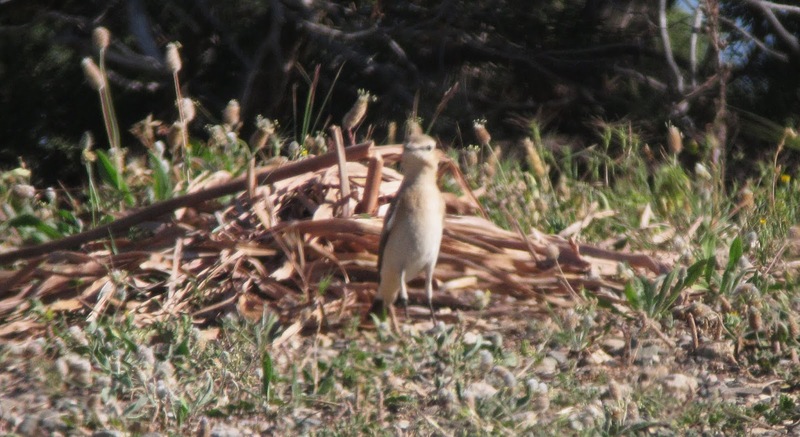 Cyprus Wheatears were the most obvious bird throughout, and we estimated seeing 15 on the walk. Serins were also in the upland woodlands, a bird which didn't seem very easy to see at lower altitudes. 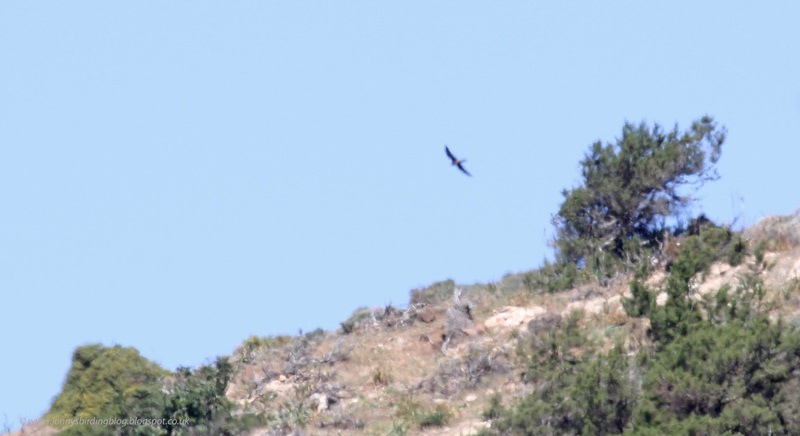 When we reached the highest point of the hills, we picked up a falcon close to us, and were really surprised to see a pale morph Eleonora's Falcon - a lifer we thought we'd be much too early to get. 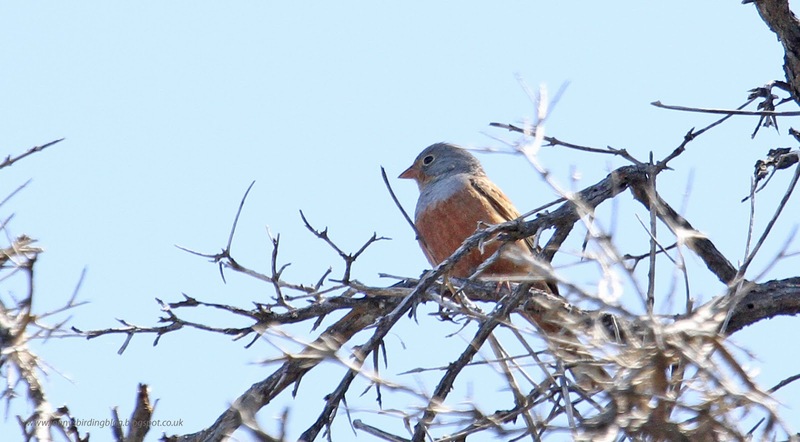 3 Masked Shrikes were also up here, and I finally managed to see Cretzschmar's Bunting with 2 singing males, which was the last of my targets. 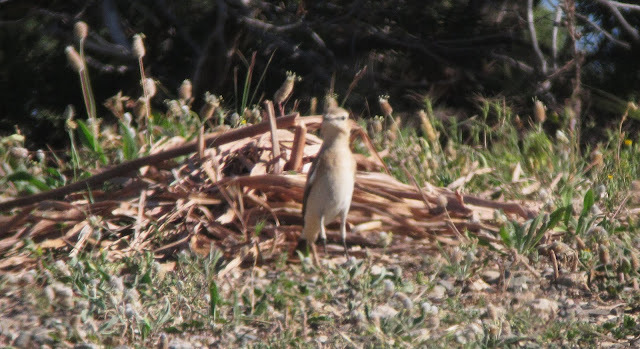 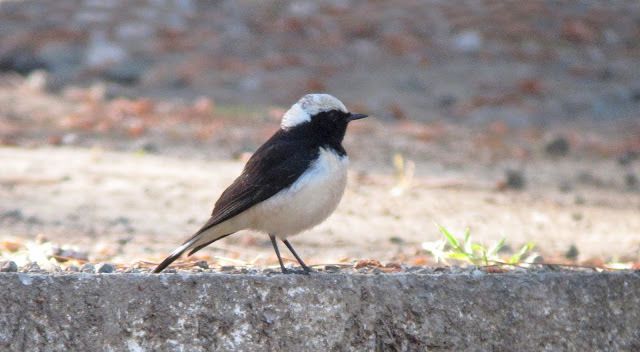 Other sightings included a first-summer Steppe Buzzard, Hoopoe and our only Meadow Pipit of the trip, while the nearby Smygies Picnic Site gave us more Cyprus Wheatears and two day-calling Cyprus Scops Owls. Eleonora's Falcon - very distant at this point! 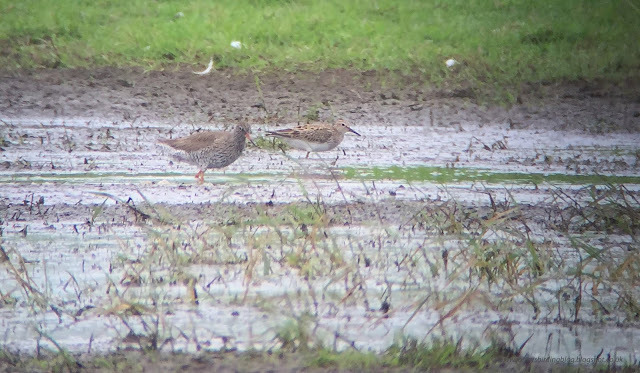 Yesterday morning we visited the patch, and the coal road pools were still really good with the waders including Pectoral Sandpiper, Greenshank, Knot and Little Stint, and the Glossy Ibis and 2 Whooper Swans were also around still. 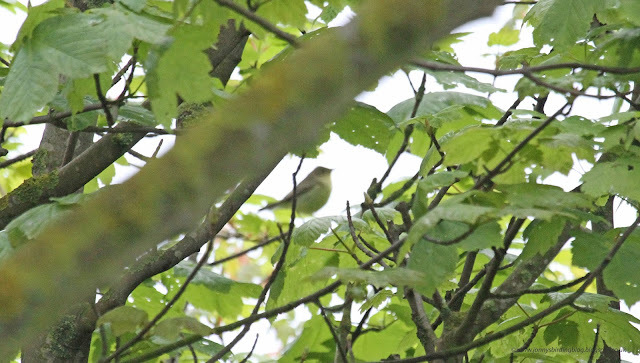 On the east edge of Druridge Bay Country Park, we discovered an unusual warbler singing from some thick scrub. Despite being there for around an hour, it never showed itself, and we were not sure of its identity. 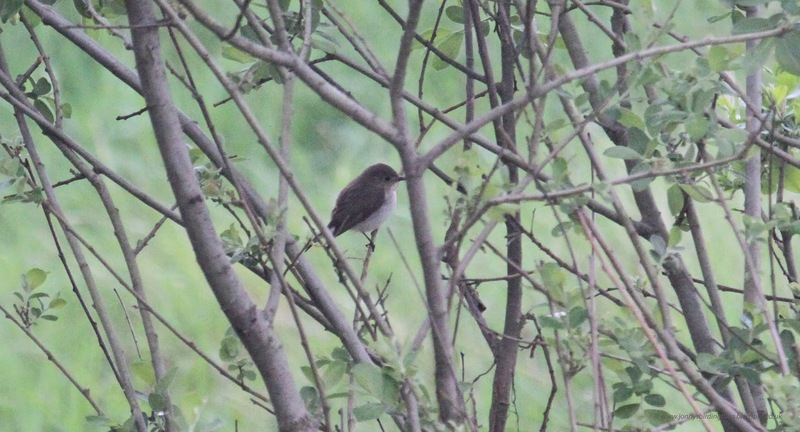 This morning I've had the chance to go through some of my recordings, and along with some advice from others, we are almost certain it was a Marsh Warbler, albeit not in full song. 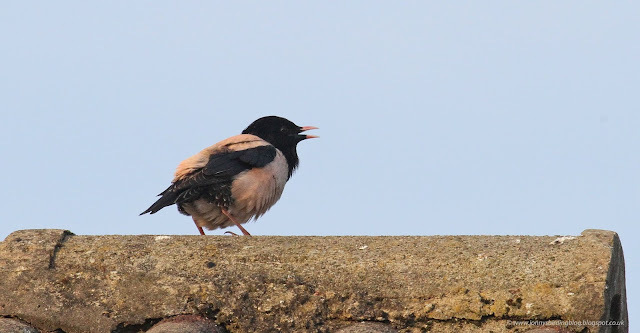 After having some lunch, we decided to get back out and make the most of the good weather and good birding, so we headed back up to Holy Island, as a number of good birds had been reported from there. The Vicar's Garden was the first place we looked, and eventually the Marsh Warbler there did show itself quite well, although wasn't singing. 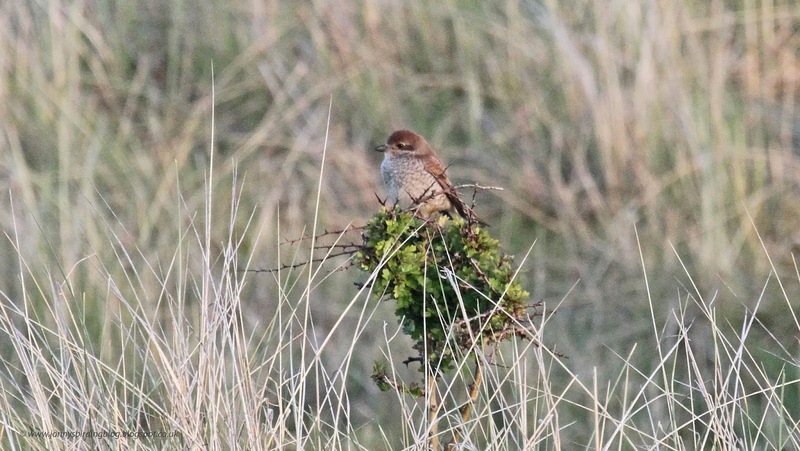 After seeing 3 Whimbrel fly over, we walked round to the Crooked Lonnen, and the male Red-backed Shrike was sat on bushes and fences to the north. A great looking bird and my first spring Red-backed Shrike in the county since 2013! Next we walked up the Straight Lonnen, and our third Marsh Warbler of the day was singing in a hawthorn just to the north-east. 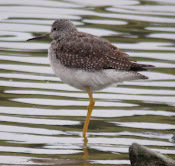 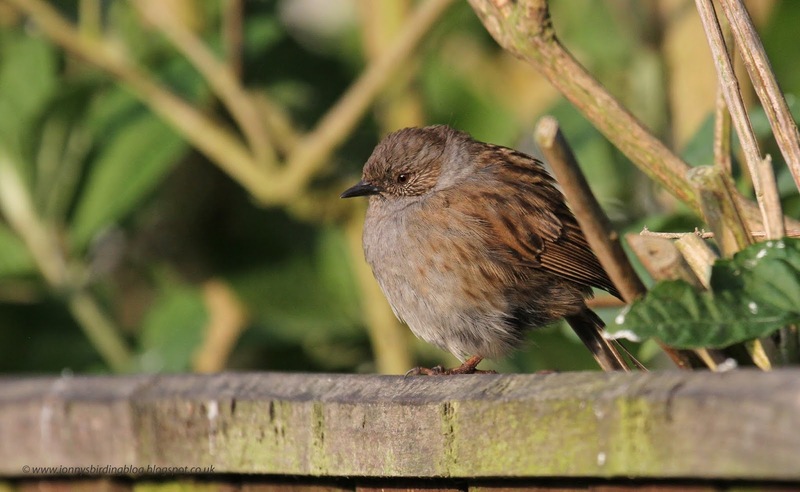 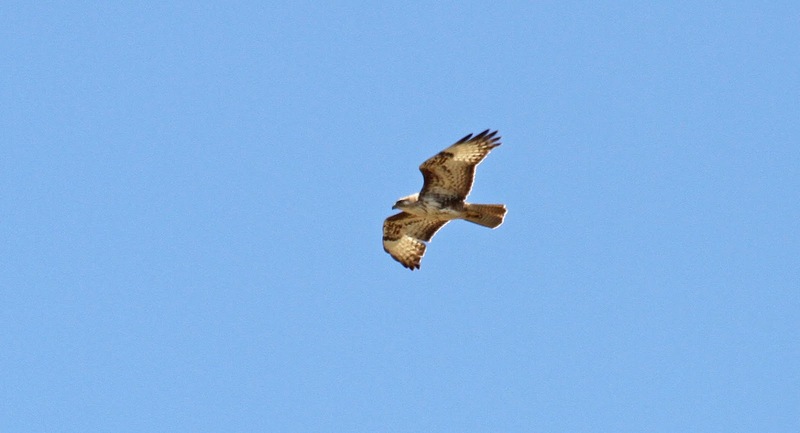 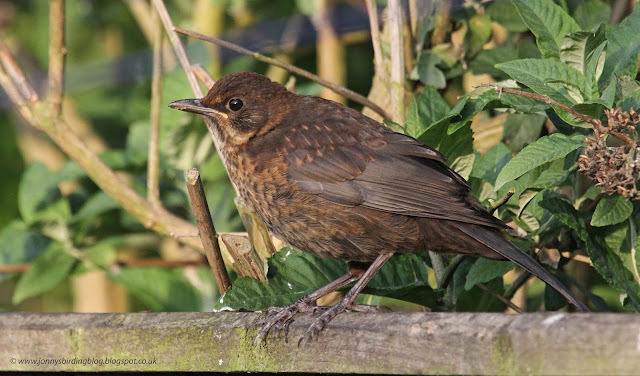 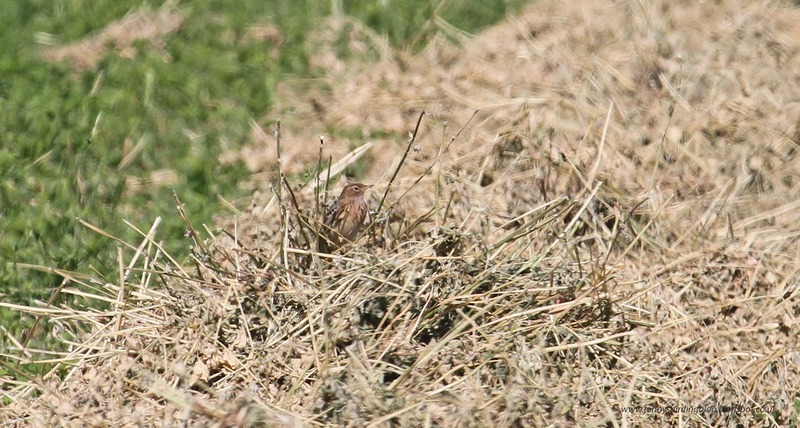 Although harder to see than the one on the Vicar's Garden, this bird did show occasionally. 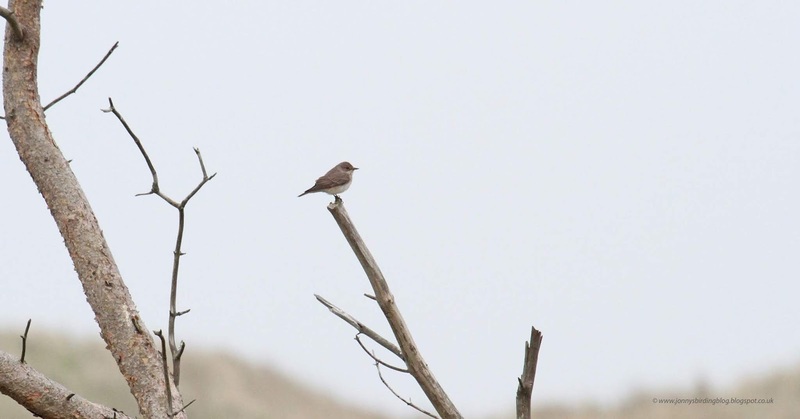 Just south of the Excavations we discovered a Whinchat and 3 Wheatears, and eventually located a female Red-backed Shrike sitting unobtrusively on some hawthorns. 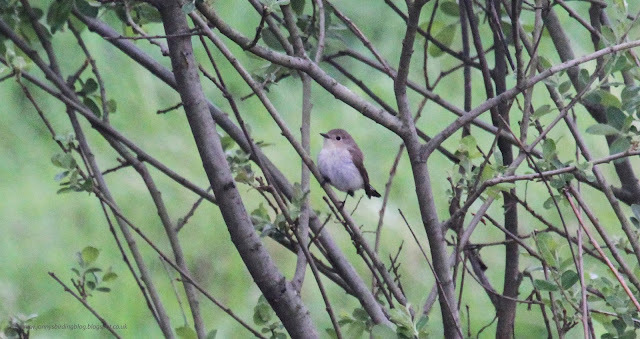 With a Red-breasted Flycatcher, 2 Marsh Warblers, 2 Red-backed Shrikes, Icterine Warbler, Pied and Spotted Flycatchers and a Whinchat, the last two days on the island have been really good, and reminded us just why the island is such a good place to go birding! Holy Island was our destination this morning, and the highlight was managing my first-ever self found Red-breasted Flycatcher on the Snook - a bird which proved a bit elusive, but did show well with patience. At Snook House the Icterine Warbler appeared again for us, first in the plantation and then singing in the house's garden. A Pied Flycatcher was also in the Snook plantation, while a Spotted Flycatcher in the pines was our third flycatcher species of the day. 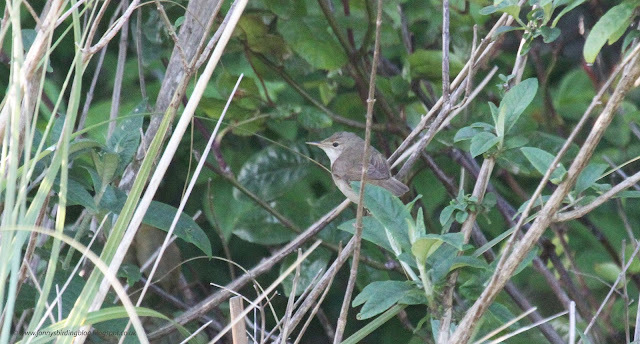 The rest of the island was quiet, and sadly we had to leave due to other commitments in the afternoon, so we did miss out on a couple of things seen later on, but we were still really pleased with our morning. 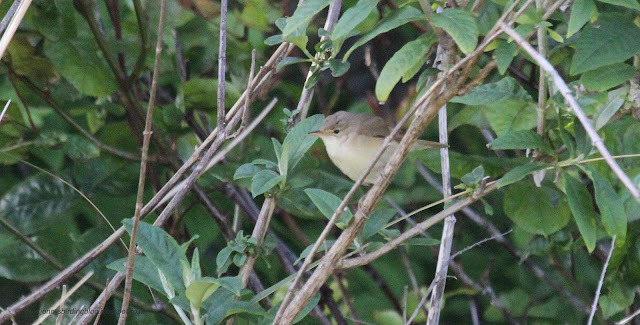 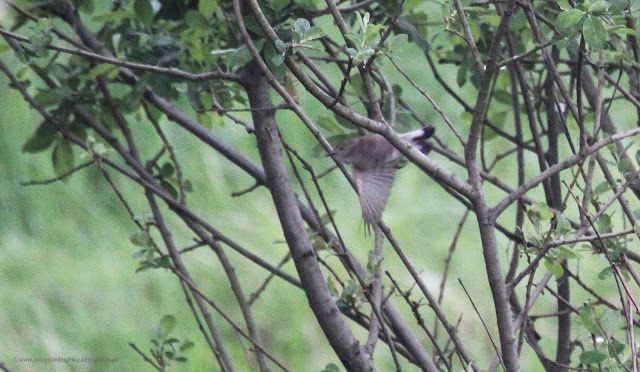 Icterine Warbler - possibly the worst ever photo on my blog!? 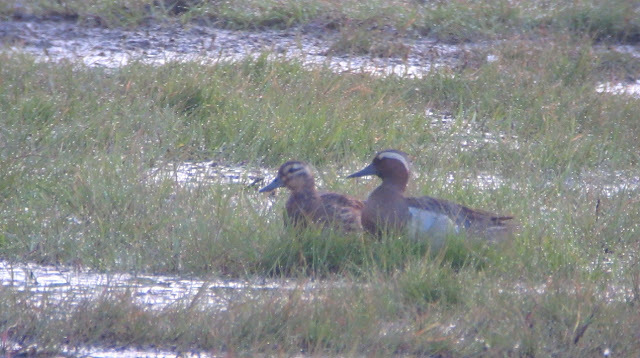 While other things there have included the long-staying Glossy Ibis, 4 Garganey, 2 Little Gull, 4 Yellow Wagtail and 2 Whooper Swans. 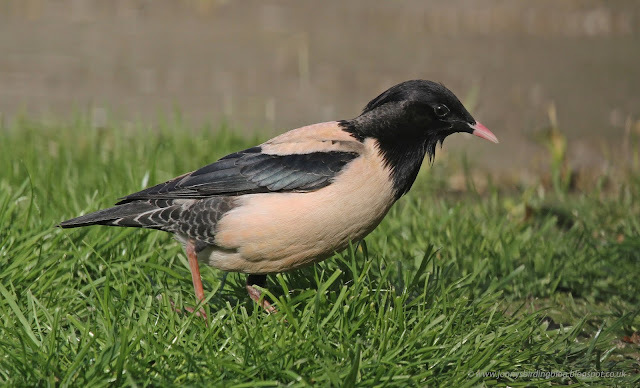 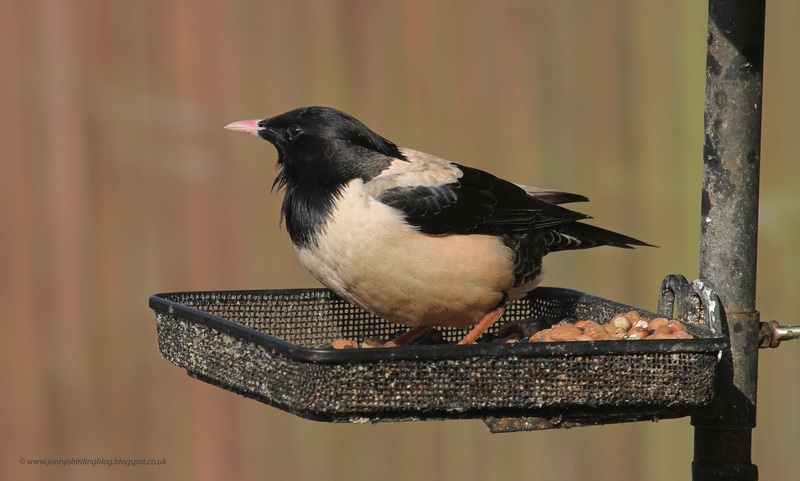 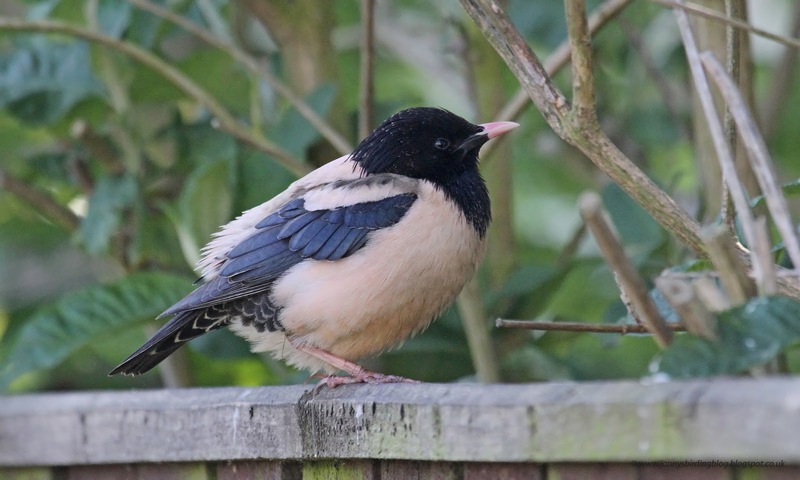 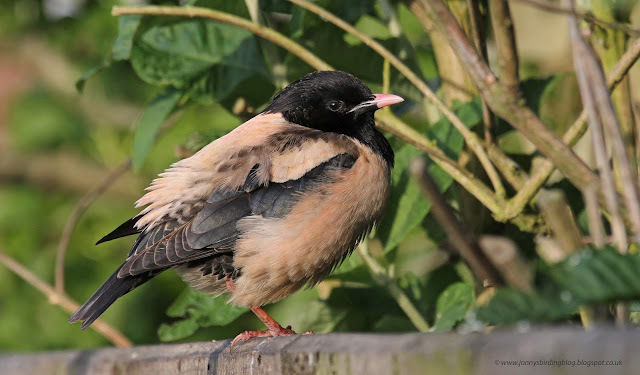 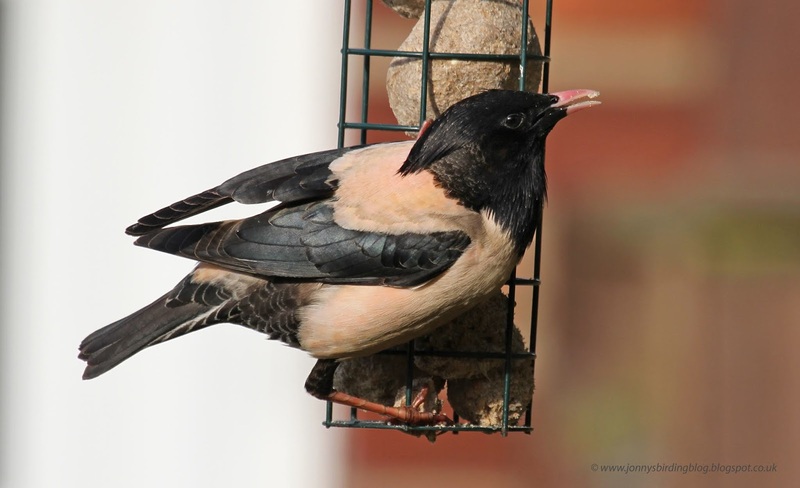 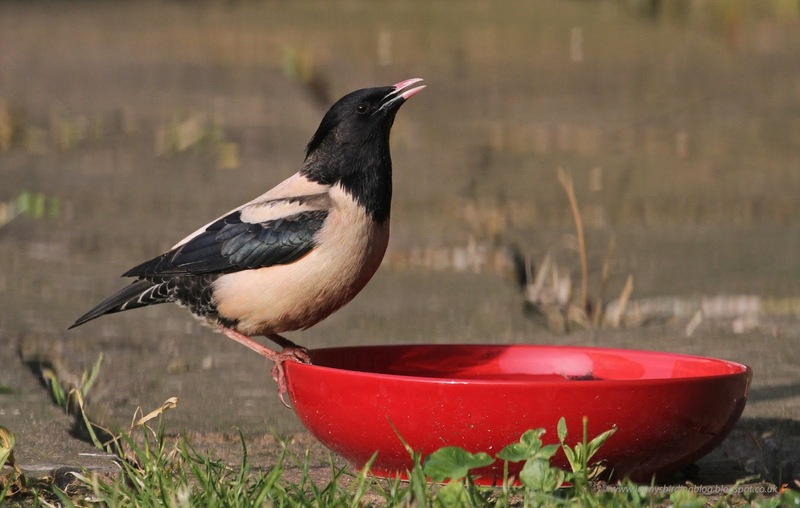 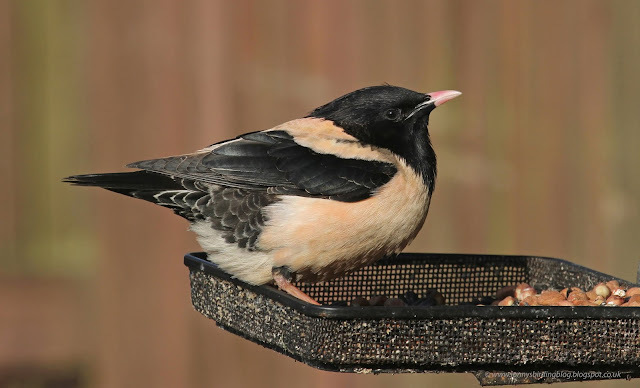 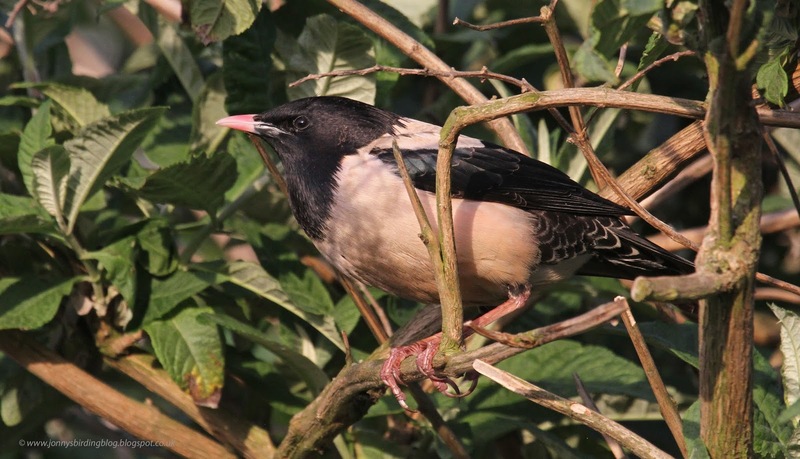 Yesterday morning on our way to Druridge we called in to Falston Crescent in Ashington to have a look at the adult Rose-coloured Starling. 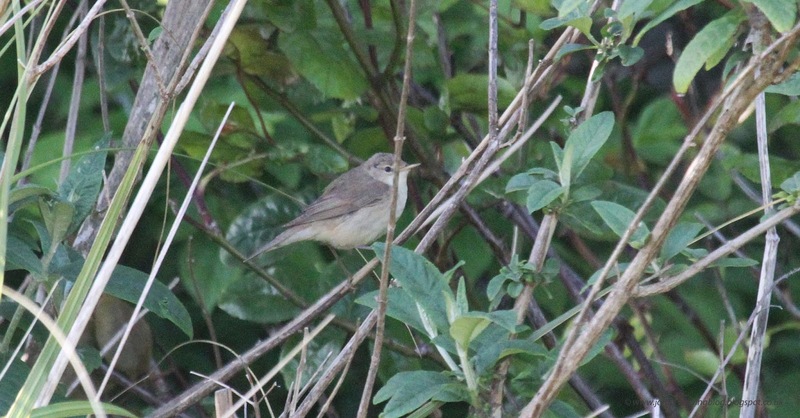 It was showing really well, although the light wasn't great. 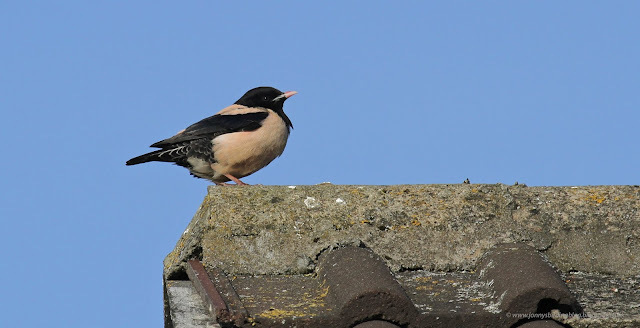 It was nice to hear it singing well too; a subtly different song to Common Starling, slightly slower and lower-pitched. Druridge still held a good selection on the the coal road pools including a very brief adult summer Little Gull, Little Stint, Wood Sandpiper, Glossy Ibis, Garganey, Whooper Swan and a flyover Arctic Tern. Me and my dad spent the morning of the fifth day of our early-April holiday birding in the south-west of the island, with the small town and river of Agia Varvara being our first stop. We had heard reports of a Baillon's Crake there over the previous few so we couldn't resist a look, despite thinking we didn't have much chance. 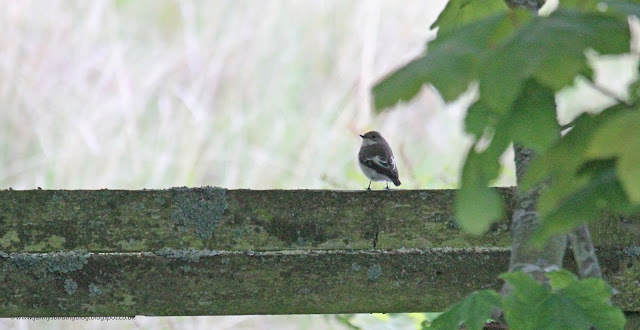 When we got there we were unable to find the bird, nor were we sure exactly where to look, but thanks to another very helpful birder, we were shown the way down to the tiny patch of the stream it had been favouring. 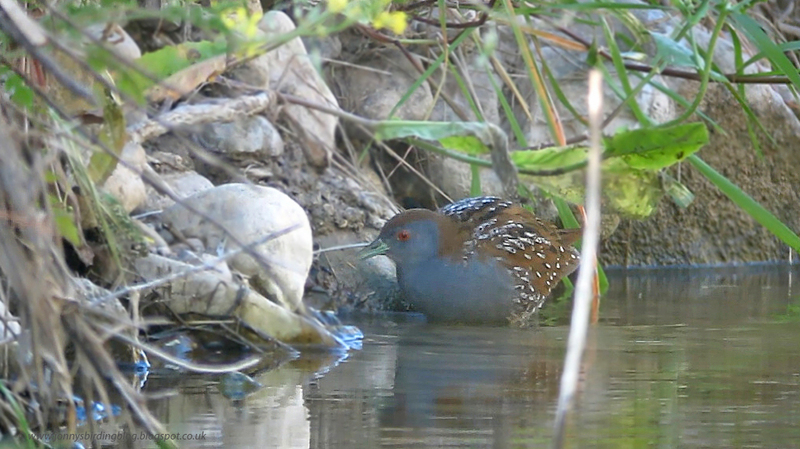 A short wait later and the Baillon's Crake came out in the open and treated us to some great scope views. We were able to watch it for several minutes, and I took some video which can be seen below. 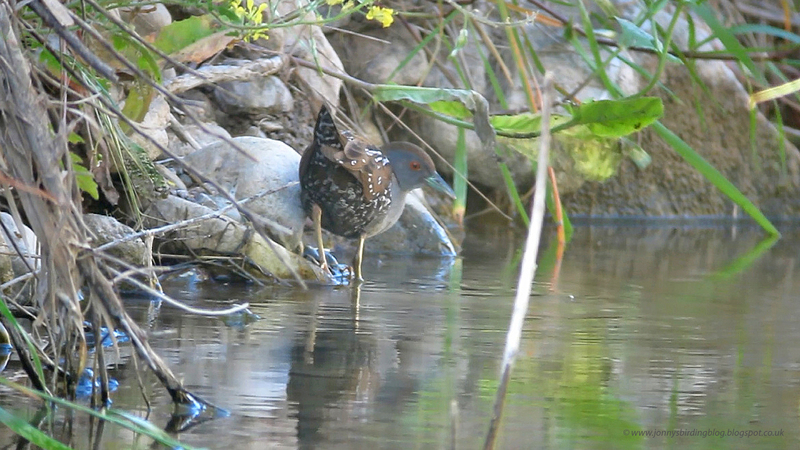 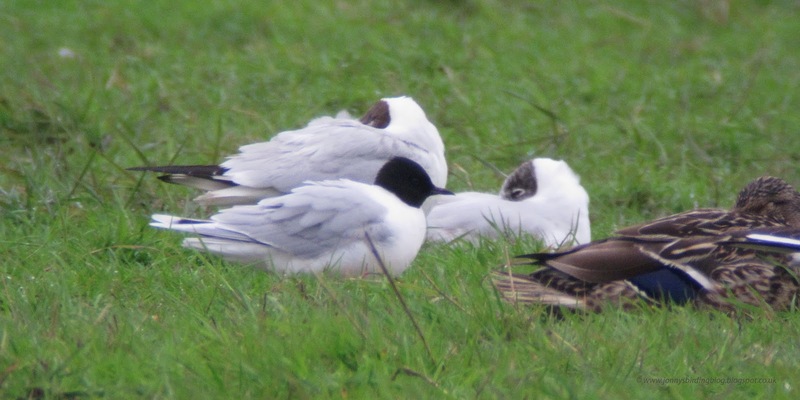 With such unexpectedly good views of a really smart bird, this was our highlight of the trip. 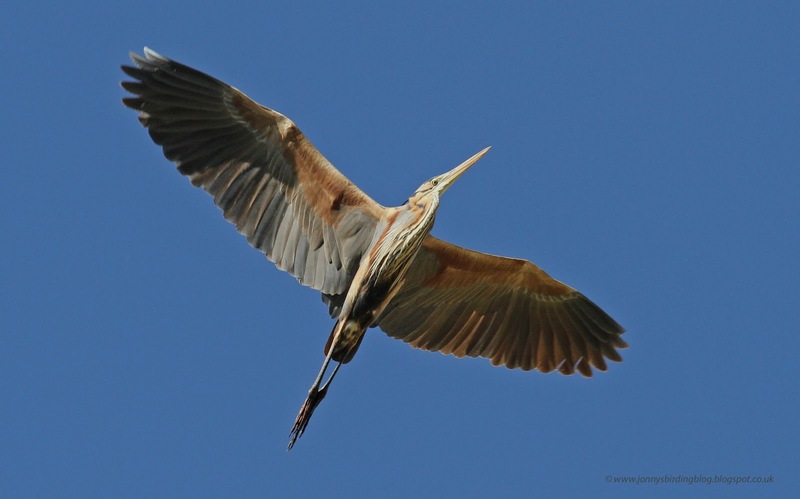 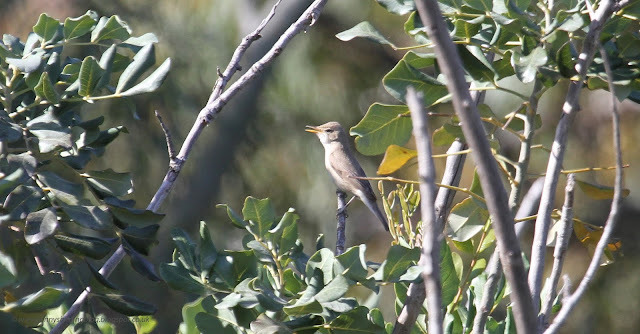 Other sightings around Agia Varvara included Ortolan Bunting, Great Spotted Cuckoo, Great Reed Warbler and Purple Heron. After this, we headed back to Mandria to try and improve on the views we had last time. We arrived to find a recently cut field, and this proved extremely attractive to wagtails with probably 50+, mostly Black-headed Wagtails, but also Blue-headed and one Grey-headed. 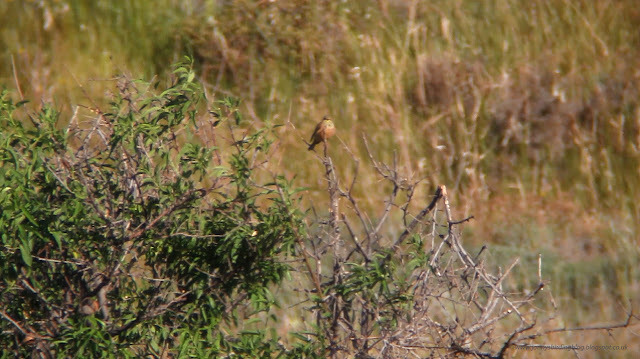 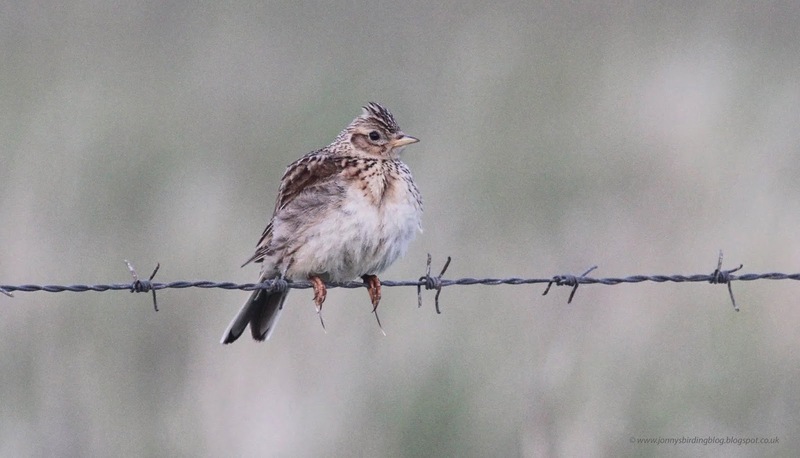 There were also 20+ Red-throated Pipits which looked good in their summer plumage, and a single Isabelline Wheatear. 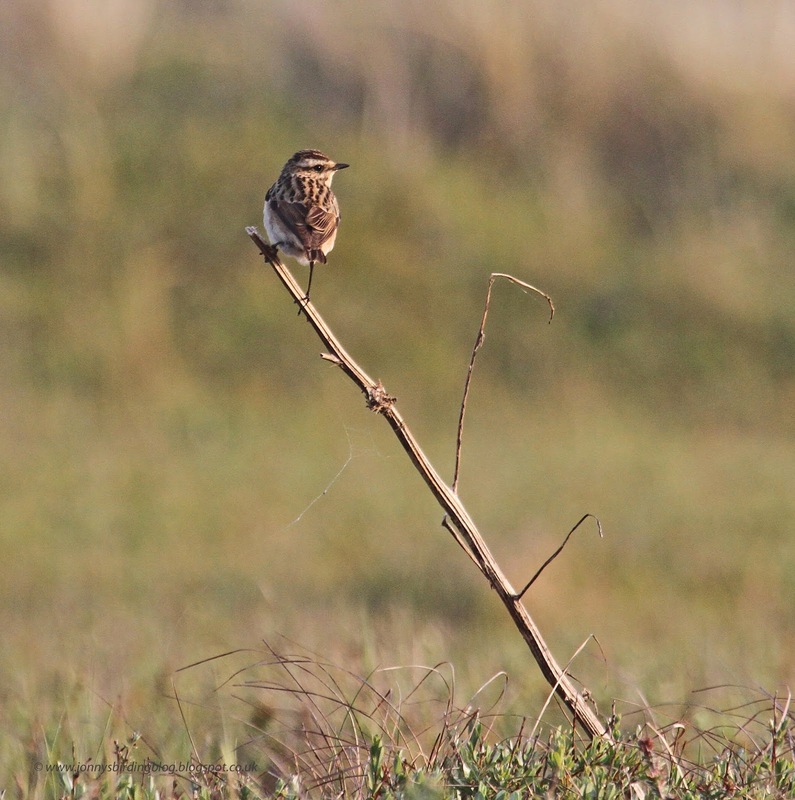 Moving to the cafe, a look here gave good views of the flock of Short-toed Larks with over 45 today, sharing the same area with 5 Northern Wheatears. Offshore, 4 Baltic Gulls moved west and 3 Shags and 3 Little Egret were on the rocks.